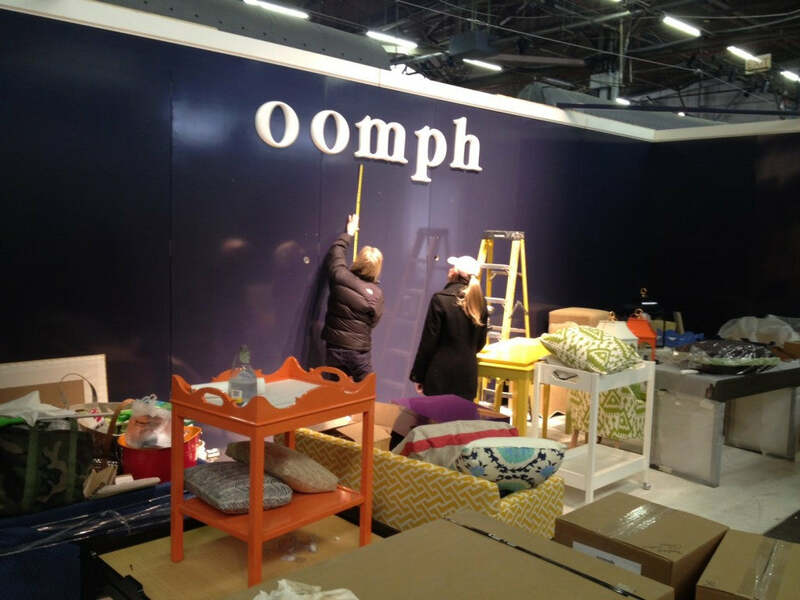 It's the day after the New York International Gift Fair, and we're exhausted! But what a tremendous success it was! We showcased our latest designs and colors, all of which were really well received. If you've never been to the New York International Gift Fair (NYGF) or are new to the industry - it's quite a spectacular event. Twice a year, thousands of vendors from all over come to "show" the best of their best to designers, retail stores, and press. 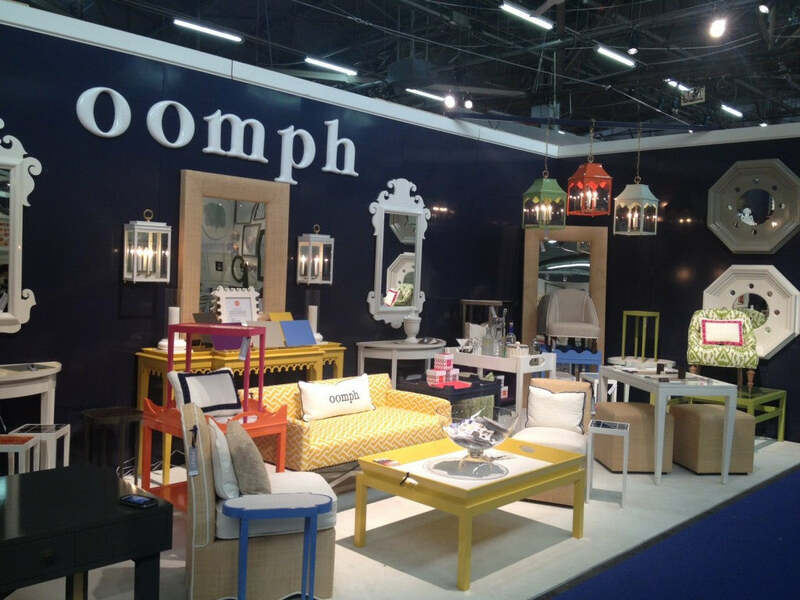 Booths vary in size and scope and includes everything from small gift items to full scale furniture - like oomph! One day of grueling set-up, four days of selling, meeting, and greeting. If you weren't able to make it to the NYIGF, all of our new products are online! 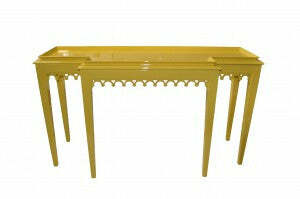 [caption id="attachment_3769" align="aligncenter" width="300" caption="Newport Tiered Console in Gambol Gold"] [/caption] In addition to our new products, bestsellers included our backgammon table (in Gambol Gold! 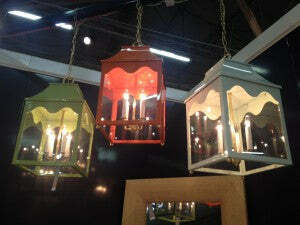 ), Lanterns, Slipper Chairs, and, of course, our Tini Tables! Tonight!!!! 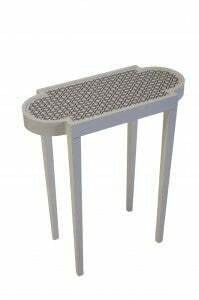 Visit our website and click on "SAMPLE ROOM" for a great selection of Tini Tables with Stone Tops. The Stone Top Tinis are stunning. 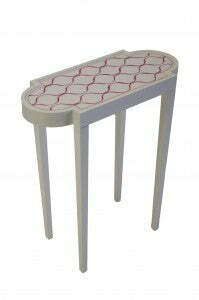 Hand-carved marble inserts on Tini tables make for an incredibly chic and unique accent to your home. The Sale begins tonight, Thursday, at 8:00pm EST. Click Here to Register and Start Shopping!